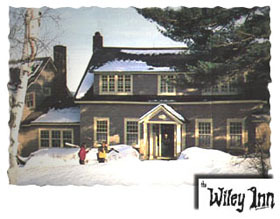 Okemo Stay & Ski - 1 Wonderful Mountain & 11 Unique lodgings - just right for you! . Main Page. and Manchester, VT nearby - perfect! a hottub under the stars & WIFI too! I. Peak Weekends - 2 or 3-night weekend packages will be available on the following 2009- 2010 Peak Season Weekends: January 5-7, January 19-21, January 26-28, February 2-4, March 2-4 and March 9-11. II. Midweek StayandSki packages may be purchased with a Ski 2 days/Stay 1-night minimum (2-night minimum stays will still be required on all weekend packages). Special rates will apply - call for more information. III. StayandSki Packages may be purchased 24 hours in advance of arrival. NOTE: all packages are offered on a LIMITED BASIS. You MUST contact our property directly to verify their availability first & then reserve asap. Ski MIDWEEK ONLY from Jan 1, 2010 to March 14, 2010 (excluding Holiday Blackout Periods) at Value Season Rates. Two day package vouchers may be redeemed Monday thru Thursday. Three day package vouchers may be redeemed Monday thru Wednesday. Peak packages are not valid on Saturdays, Sundays or Holidays. All Stay & Ski packages include lodging and lift ticket vouchers with a two day minimum. Reservations must be made at least 24 hours in advance. Three day Okemo ticket packages include the option of skiing one day at Mount Sunapee, N.H. or Stratton Mountain, VT. All rates are in U.S. funds and are subject to change. Package vouchers will be presented upon check-in at a participating lodging property.